The Coalition of NGOs on Child Protection (established by Mario Project) held its first National Conference with the Motto: “A Kosovo fit for children is a Kosovo fit for all!” and with the active participation of children. Back in September 2011, to achieve one of CPSN’s project objectives and in accordance with the concept of child participation, children living in the residential institutions of Tirana, Durrës, Vlora and Saranda were engaged in focus group discussions with the purpose of identifying their needs and desires on potential activities and programs to be involved in. During these sessions it became obvious that for a particular group of 16 children from Zyber Hallulli [Tirana’s public residential institution] playing football was the biggest wish. And so to make this wish come true Terre des hommes Albania, with the support of its donors like UNICEF, the Austrian Development Cooperation, the Norwegian Ministry of Foreign Affairs, etc., gathered the group of children together, contracted as a coach an ex-football player, and approached Albania’s Football Association for collaboration and support. The outcomes of these efforts were celebrated last Wednesday, February 29, 2012, at an event organized at the premises of the children’s elementary school. December 12-13 2011, Tirana, Albania: A training workshop for about 15 MOVE trainers and Terre des hommes staff was convened at a picturesque location on the Dajti Mountain, facilitated by Stephanie Delaney, Tdh Consultant on Child Protection and Gaël Rennesson, MOVE Regional Project Coordinator. Tirana, September 2011: Children views, experiences, beliefs and attitudes regarding the services they have received from Child Protection Workers have been collected and documented in a report that aimed at measuring the impact of Mario partner’s efforts in building the capacity of child protection professionals during the third year of implementation of the Project. Prishtina, Kosovo, July 4-6, 2011: MARIO partners met to exchange experiences and learn from each other on how best to include children from project design to implementation and monitoring. „Child participation”, the theme chosen by partners for this three-day Knowledge Exchange Meeting, means that partners consult children, hear their views and take them into account, keeping in mind their age and maturity. This much-needed approach allows professionals to target their actions to best answer the needs and wants of children. 24 June, 2011, Soroca, Moldova: Spontaneous, active and in the mood to play, children from Soroca participated at the Fair Play Events of MOVE project. The event wanted to get the attention of key-people to the situation of children, and ways to improve their well-being through games and sport - based on Movement, Games, Sport methodology (MGS). 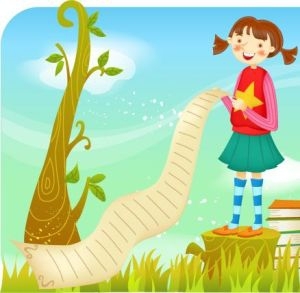 Last but not least, promote the introduction of the MGS methodology into school curricula. 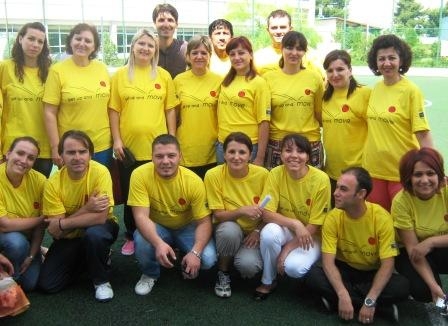 10 June 2011, Elbasan: On the occasion of the International Day against Child Labour, MOVE animators in Albania facilitated several psychosocial games for 220 school children during a 2-hour event held at the AIEK sports centre. Local elections will take place in Albania on 08 May 2011. Although the 929,000 Albanian children cannot themselves take part, the adults can represent their interest when they cast their vote.